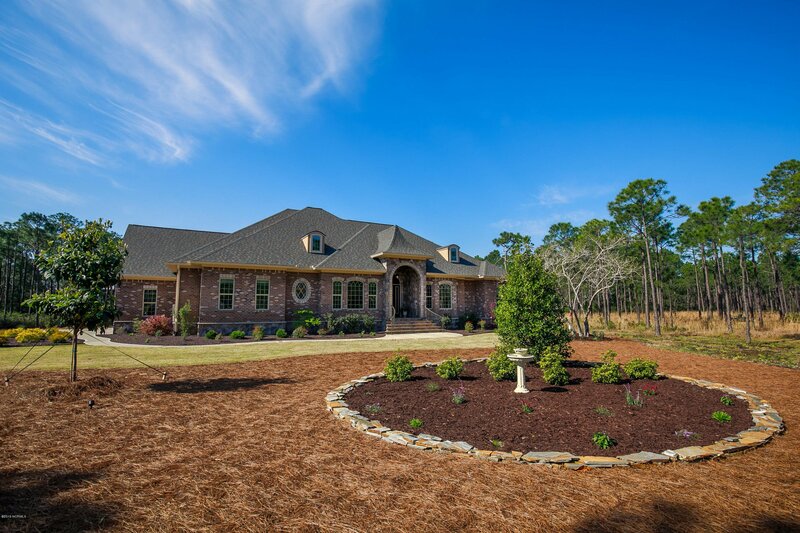 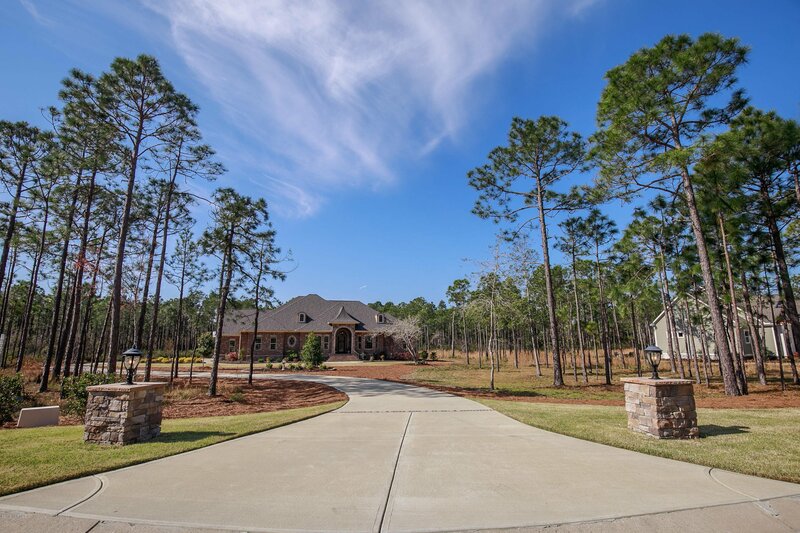 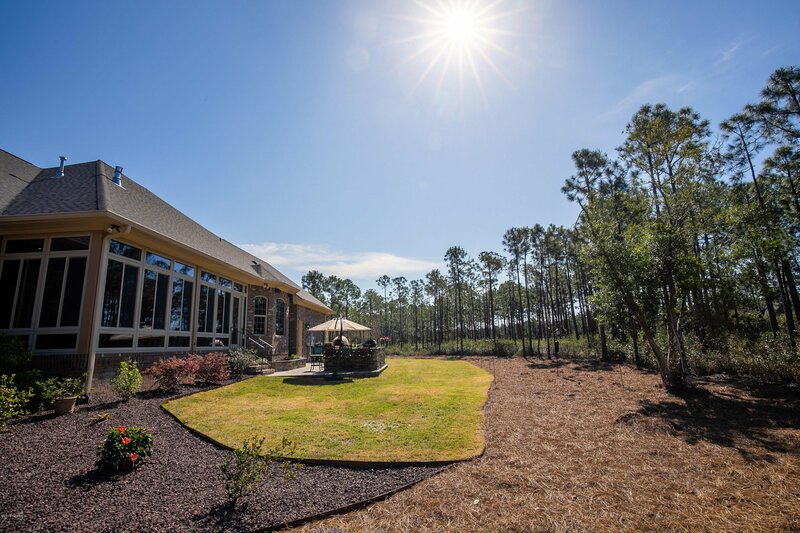 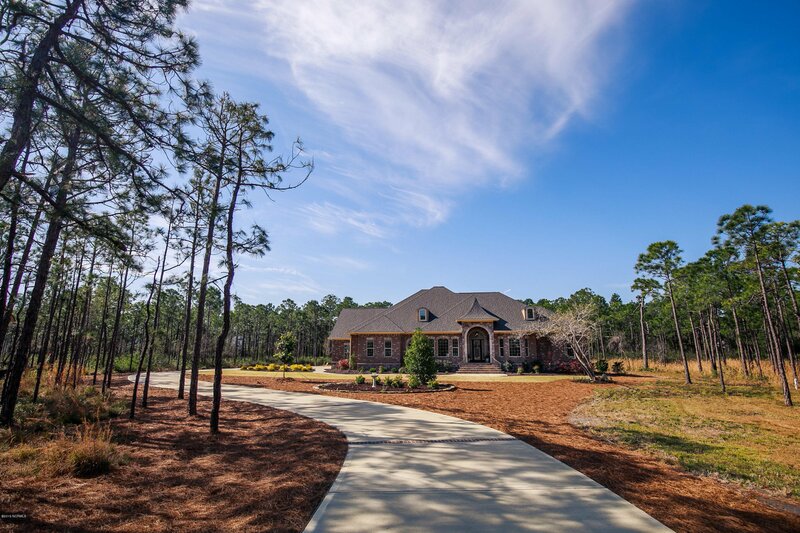 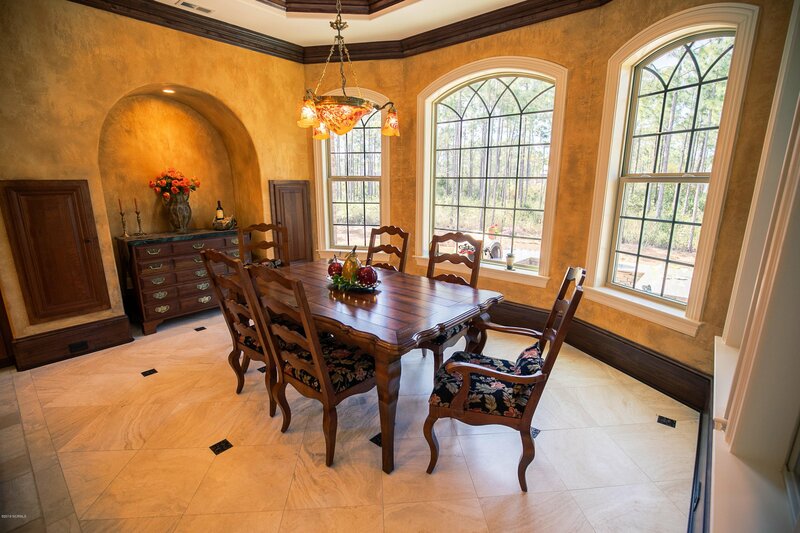 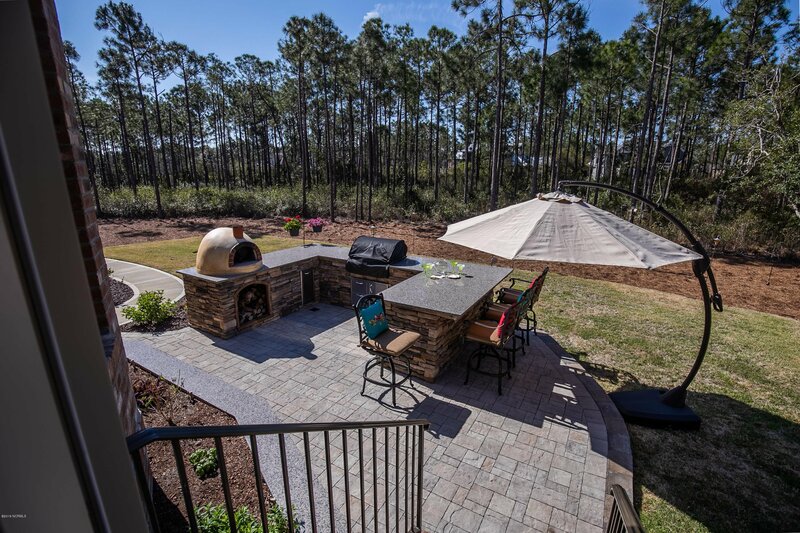 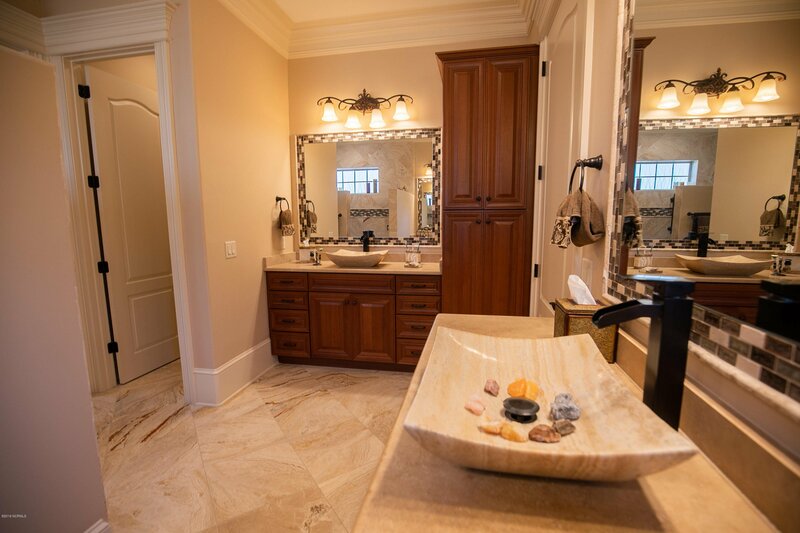 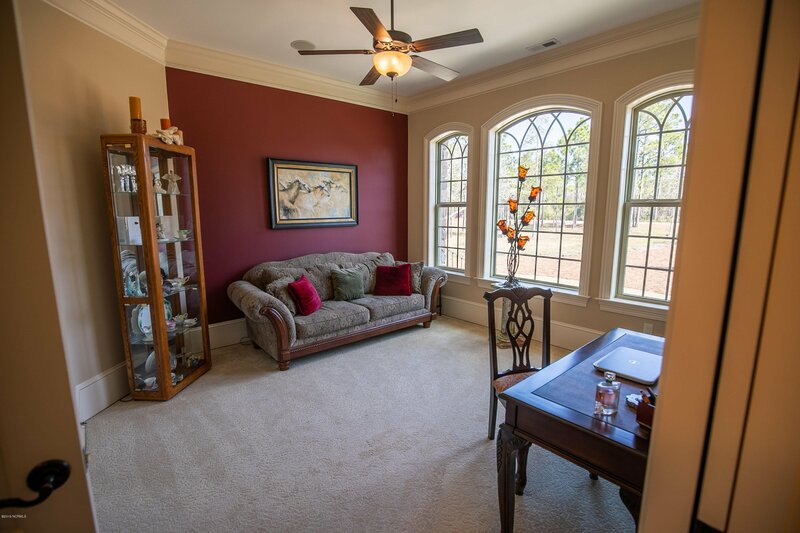 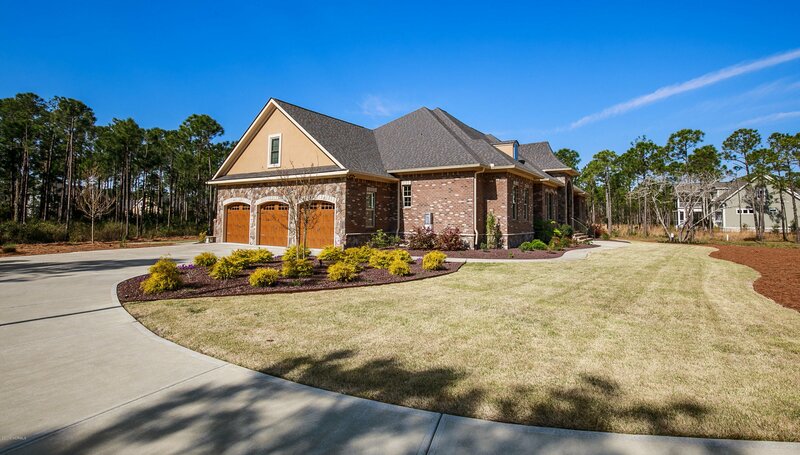 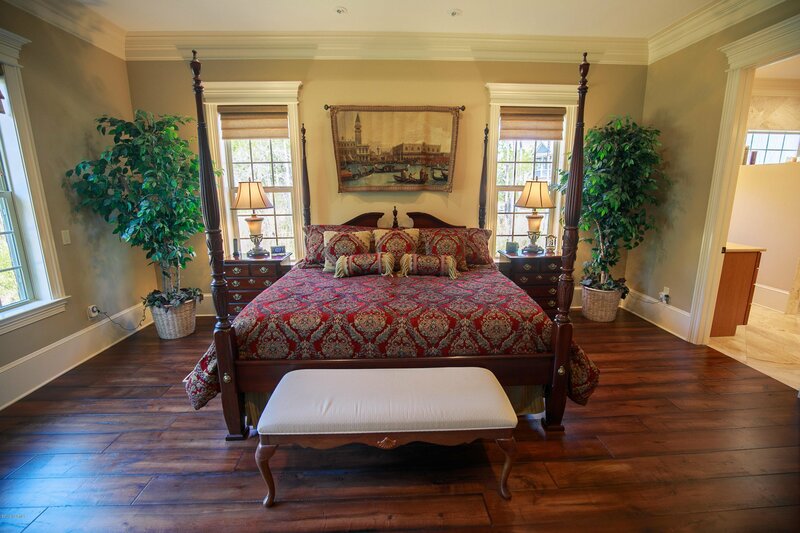 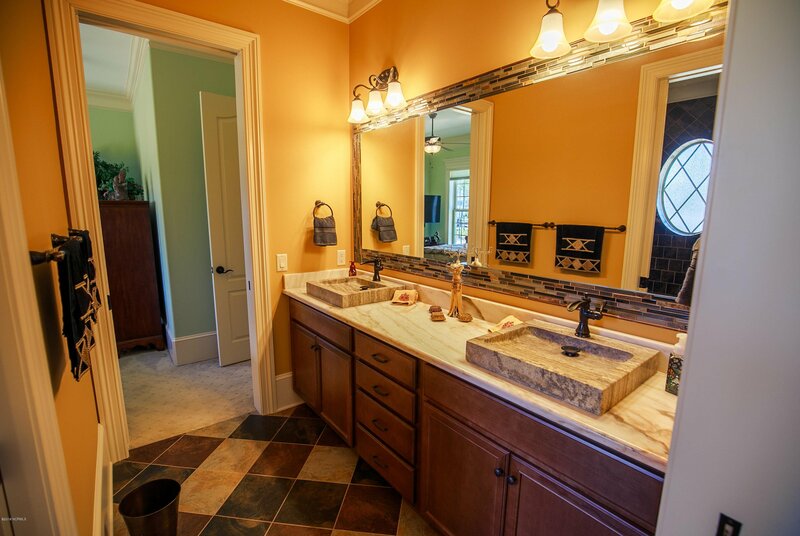 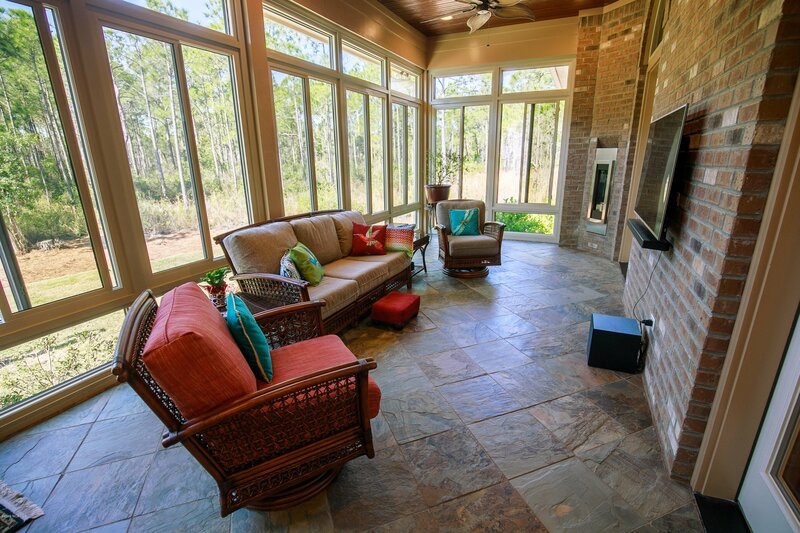 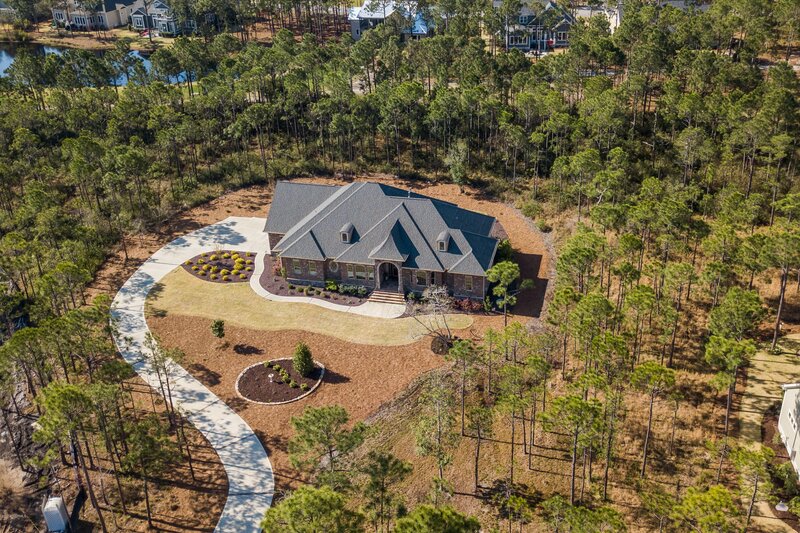 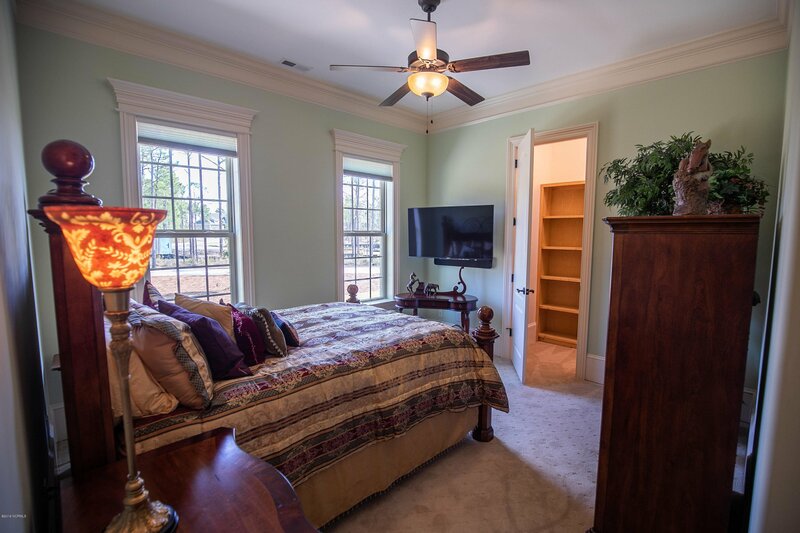 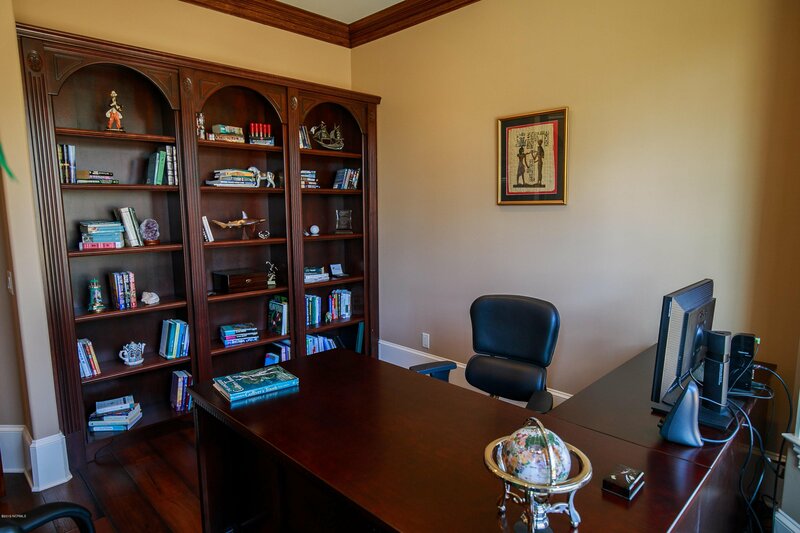 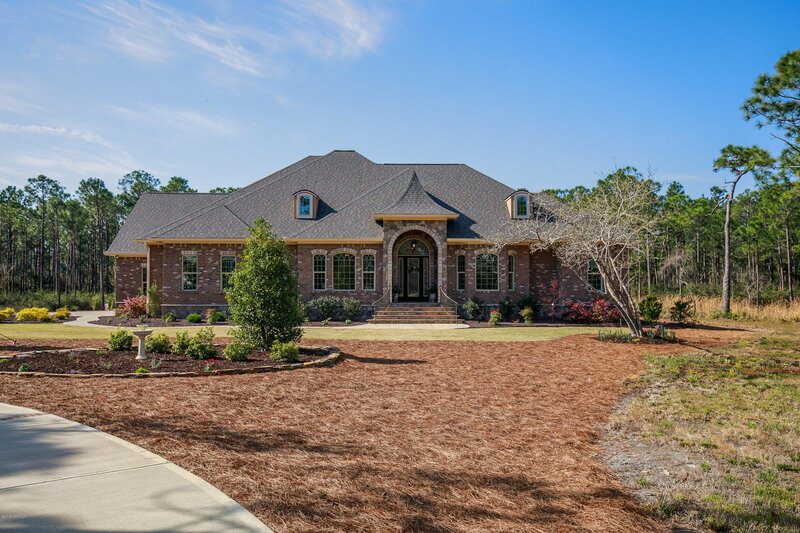 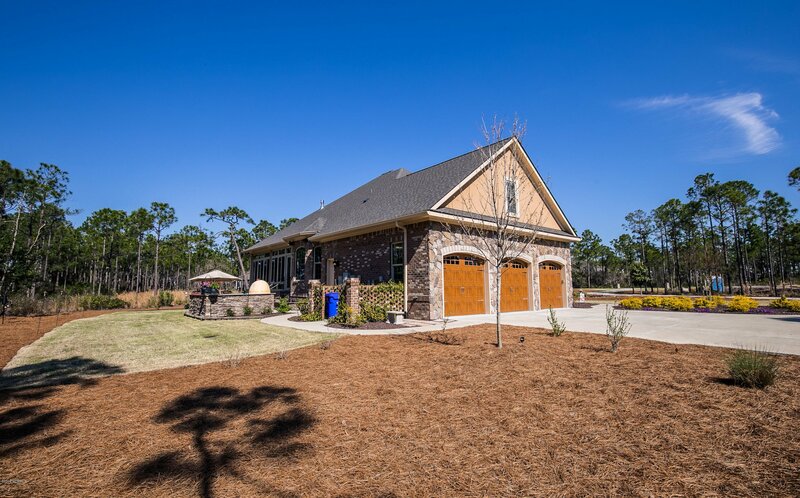 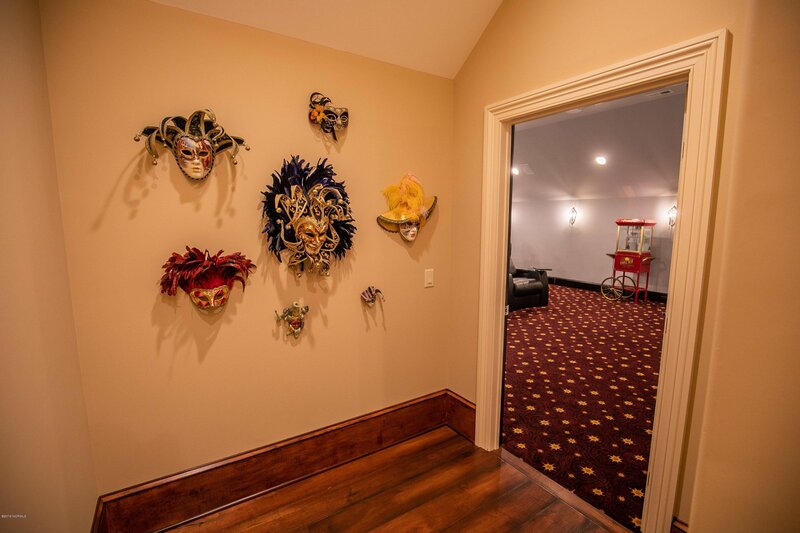 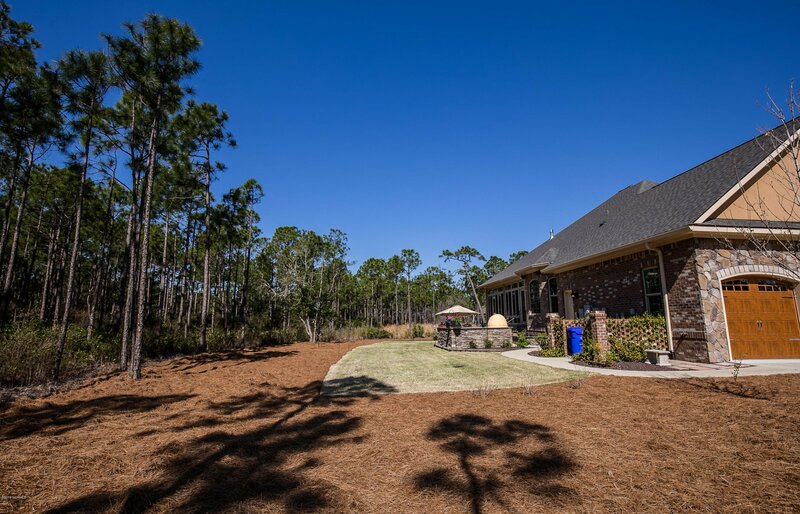 A Truly Unique Tuscan-inspired Property located in beautiful St James Plantation. 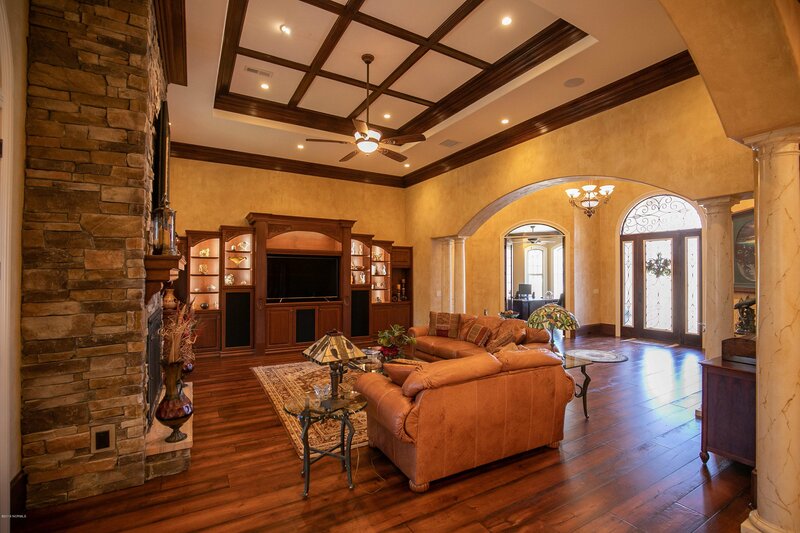 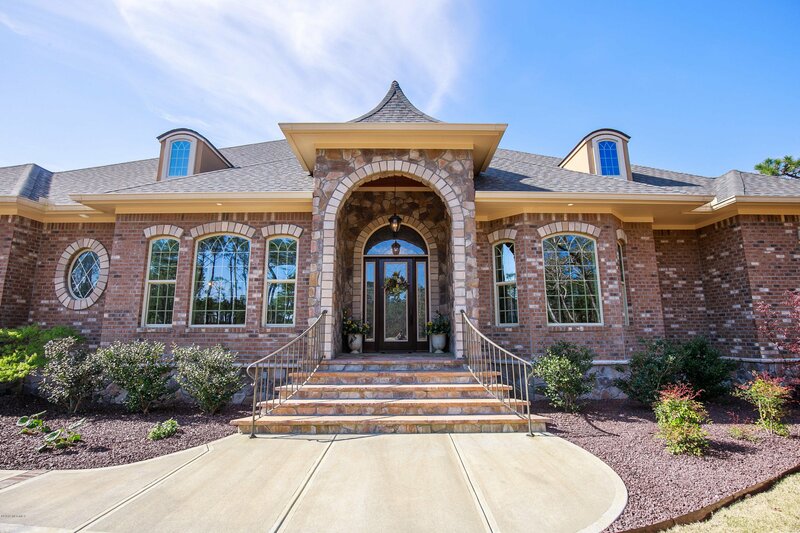 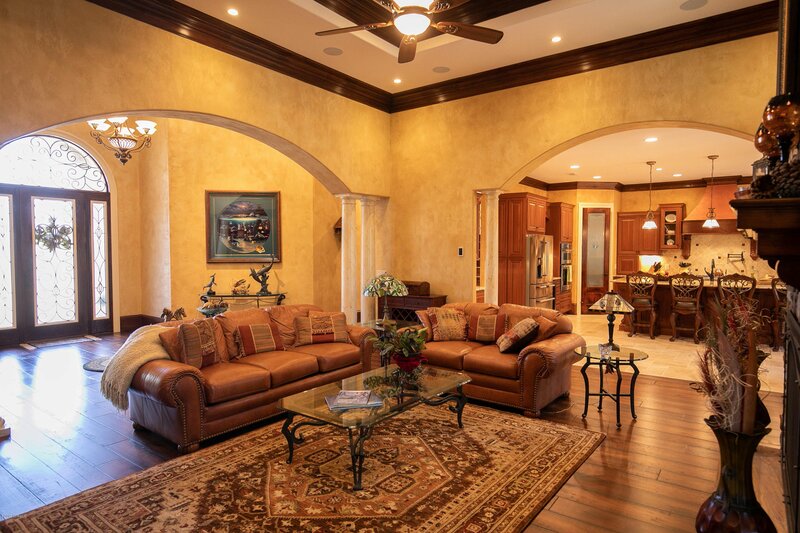 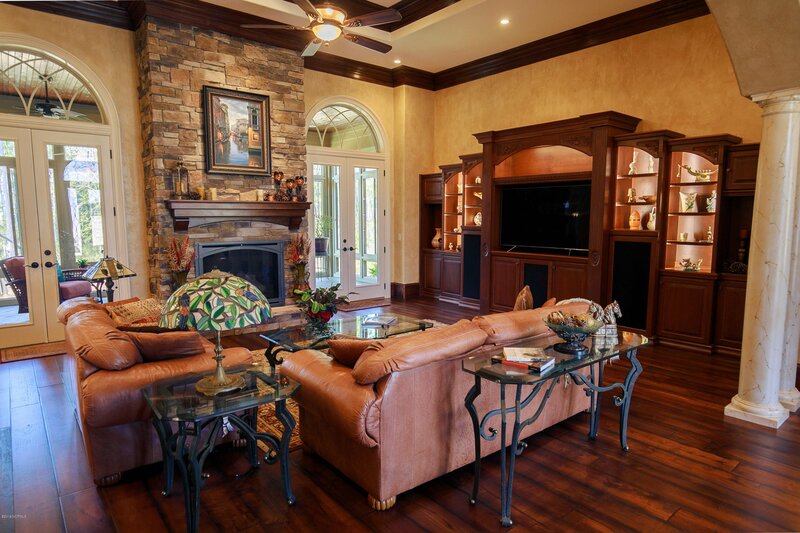 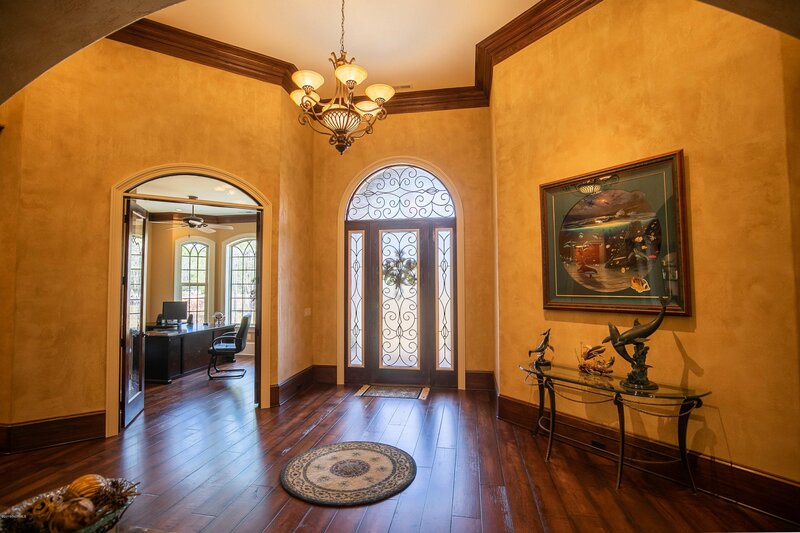 The Luxurious tone is set as you enter this stunning custom home. 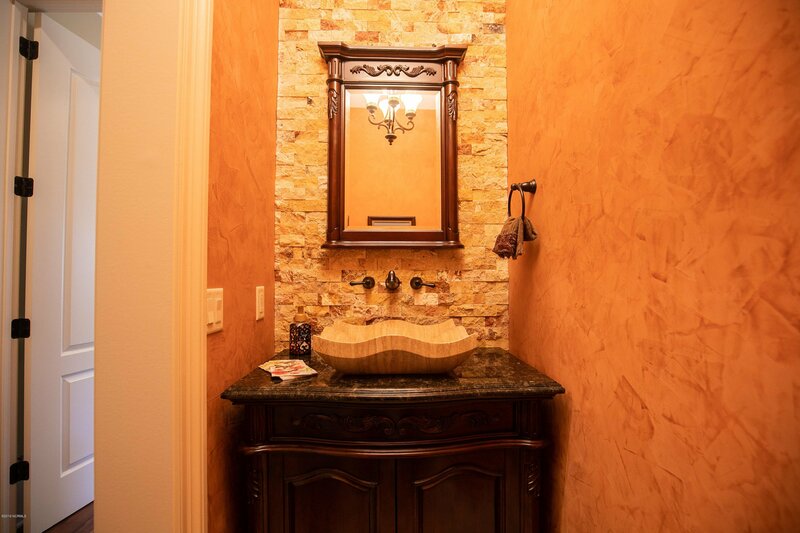 No expense was spared and No detail was overlooked. 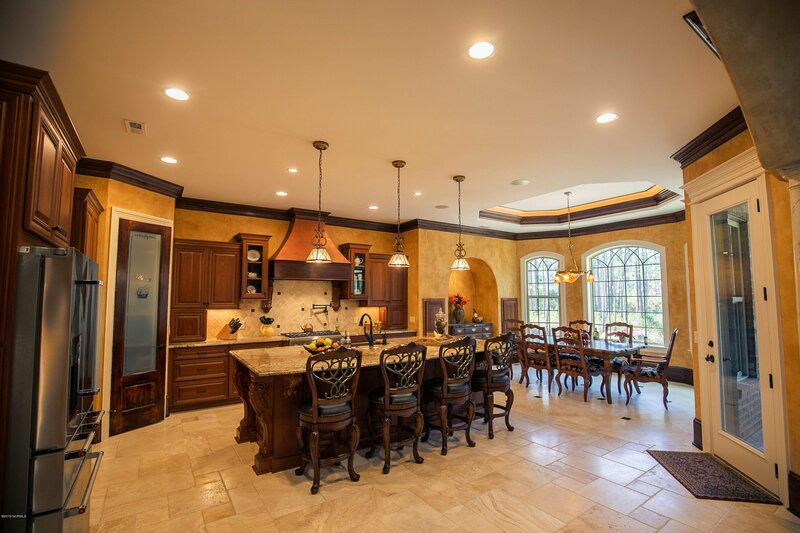 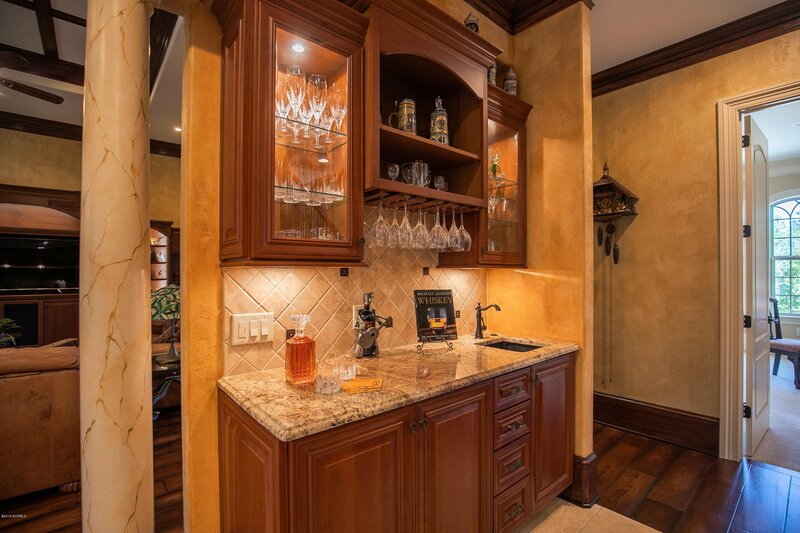 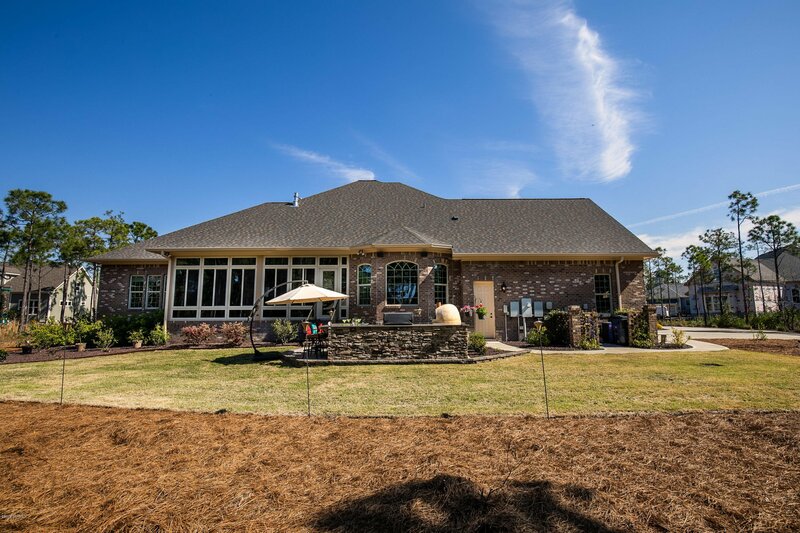 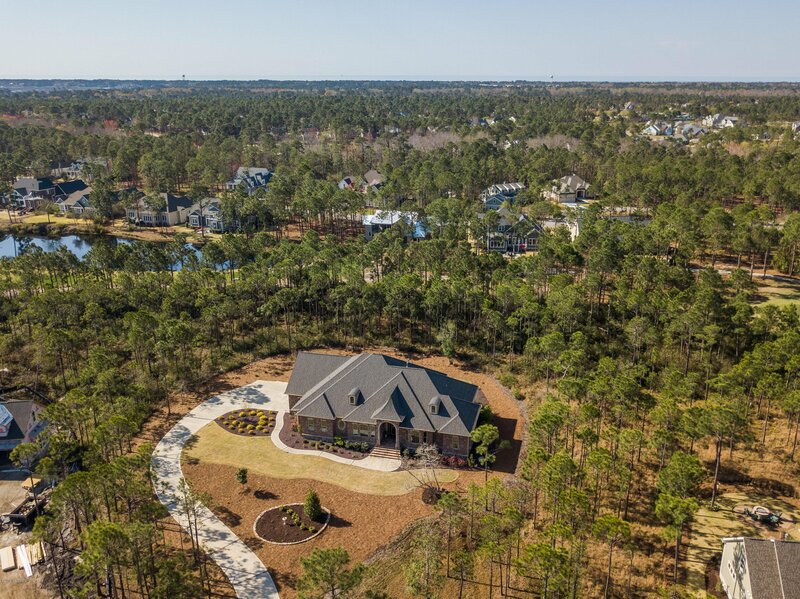 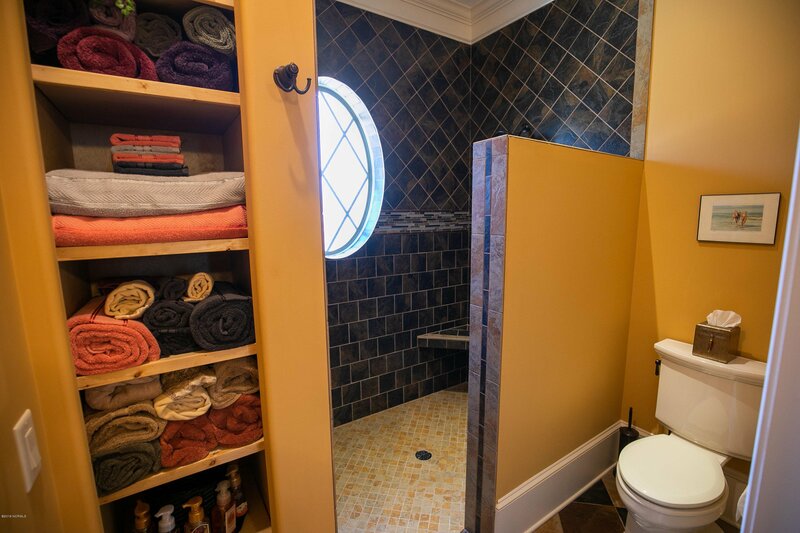 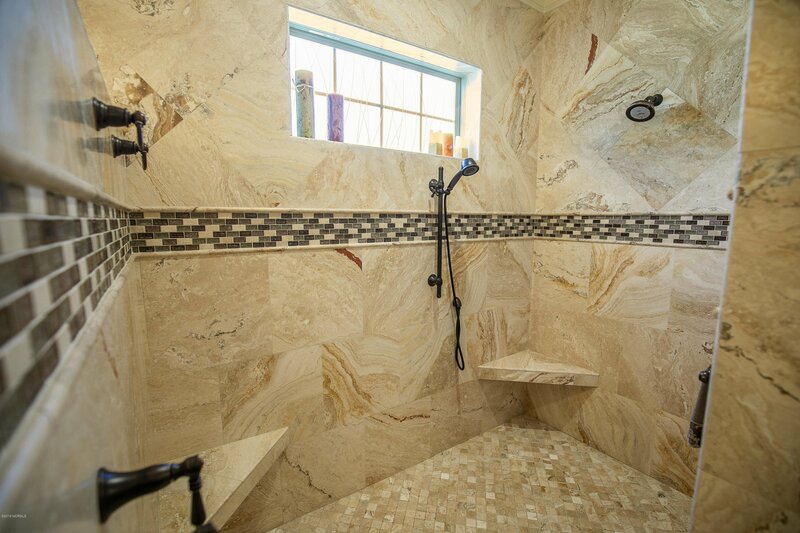 The home is designed for entertaining, gourmet kitchen with Thermador professional range with pot filler, a massive 10 ft Island with single slab of granite, commercial grade wine cooler, custom cabinetry and large walk in pantry. 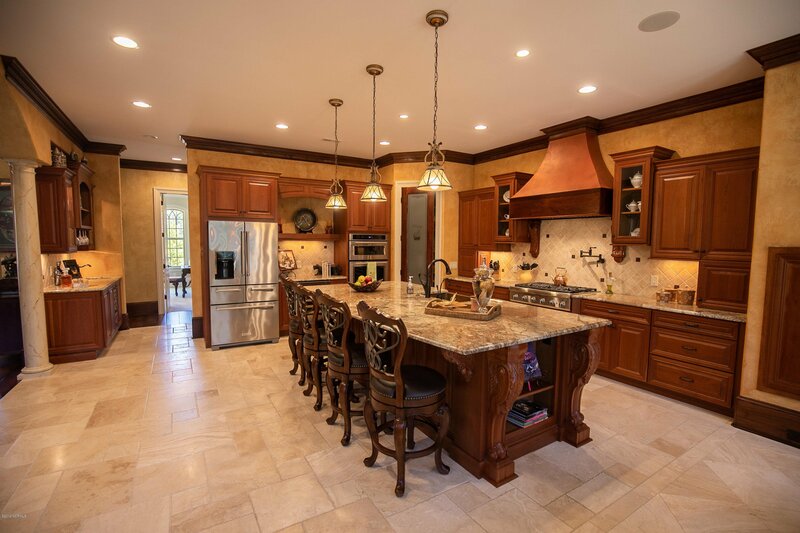 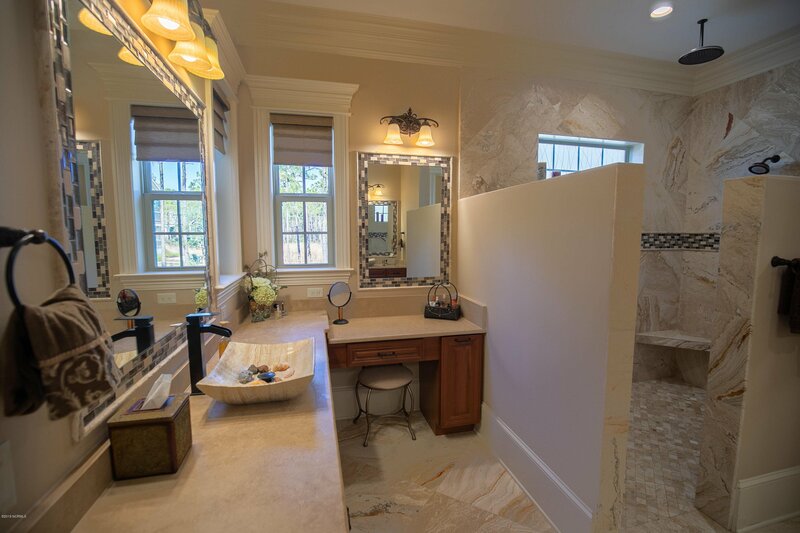 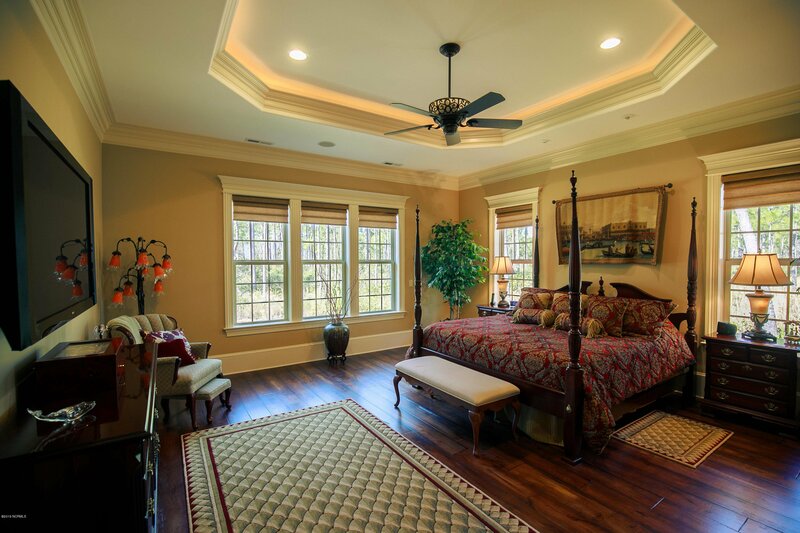 Elegant features include coffered ceilings, travertine stone flooring, tiles and vessel sinks, regal columns, rich built-ins and exquisite chandeliers and light fixtures. 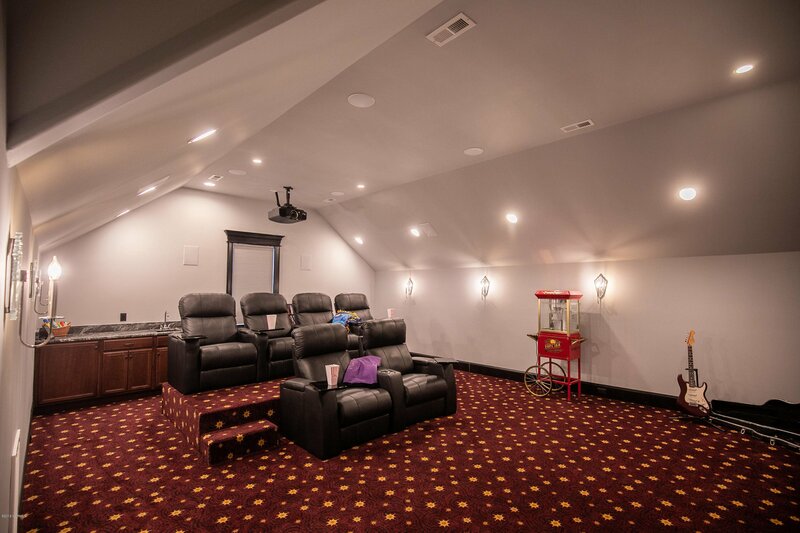 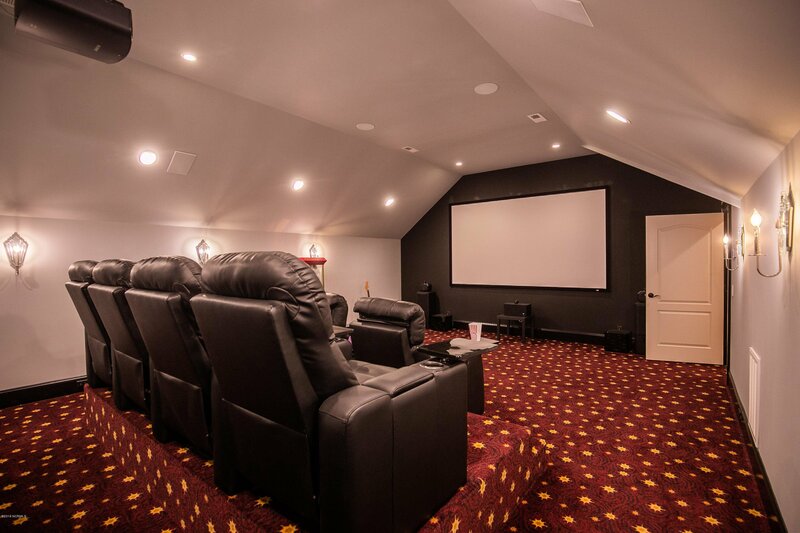 Everyone's favorite spot is upstairs in the ultimate theater room complete with 133'' screen, sony 4K projector, surround sound, luxurious leather recliners, refrigerator and popcorn machine.